It has been a couple years in the making, but beginning May 15th, AT&T, Sprint, T-Mobile, and Verizon will all begin supporting text-to-911 emergency messages. The caveat is that while the carriers will be able to handle the services, not every municipality will have the capability to accept emergency text messages. For counties or districts that were developing the platform with a single carrier, however, the will now be able to receive and respond to messages from any of the carriers. AT&T and Verizon have been testing and developing this feature for a couple years now, and it is something that the FCC has been talking about since 2010. While the emergency SMS initiative is making progress, the FCC is also looking into ways that instant messaging services might be able to reach 911 emergency services. Text-to-911 is going to prove ideal for situations where it is dangerous to talk. While the “big four” are on board with this service now, other carriers should begin joining the fray, though no time line was given. A spokesman for TCS, a company that sells text management software to emergency call centers, said that recently a 10-year-old successfully texted for help. This gives a nod to the younger generation that may actually be better equipped to text information in versus calling. While the carriers are getting on board with this, the FCC stresses that text-to-911 should be thought of as a last resort. Hearing or speech impaired should continue to use TTY if possible. The emergency call centers are under local and state authority, not the FCC, so while the carriers and FCC have a framework in place, it will take some time for emergency assets to update their procedures. Below the source link we linked the FCC’s most recent list of municipalities that have already been working with at least one carrier on text-to-911. On May 15th, the emergency calls centers will be carrier agnostic for the service. 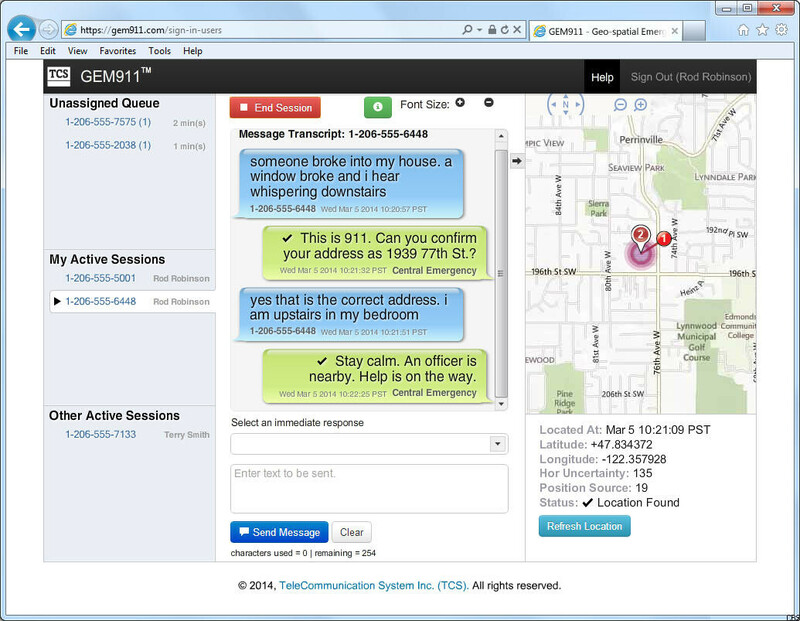 In the event someone were to text 911 where it is not deployed, that person should receive an automatic “bounce-back” message indicating text-to-911 is not available and to call instead. About time this goes live! 911 is finally in the same century as the rest of us! Seems like without an actual voice conversation, this form of 911 would be open to abuse. I wonder if texting 911 causes the phone to take a picture using the front camera and send it to the 911 call center. It's finally here but in a small area. Hopefully it will go nationwide rather quickly.